I’ve been working on quite a few design plans that I’ll be rolling out later this year. 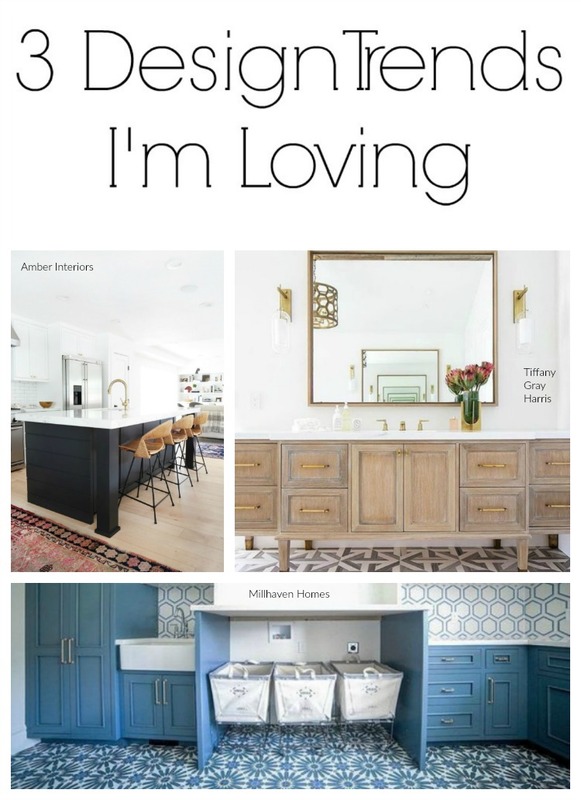 Three design trends I’m loving will be making their way into those plans and I can’t wait to start sharing more details! 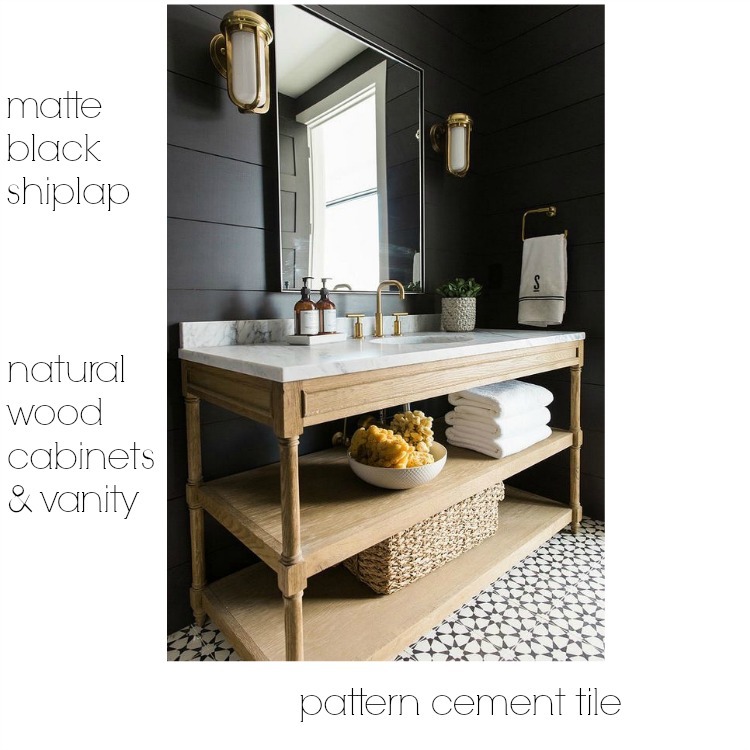 This superb bathroom by Studio McGee pretty much sums up my love affair with the trio of matte black shiplap, natural wood vanity/cabinets and pattern cement tile. We’ve seen an explosion of shiplap in the world of design pretty much since Chip & Joanna made it famous on Fixer Upper. 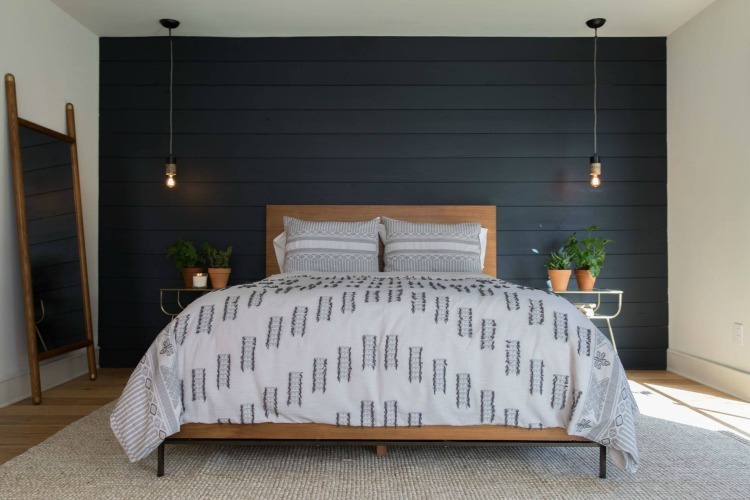 Although I do love the look of white shiplap, enough so that I put it in our son’s bedroom at the beach cottage, the black takes it to a whole new level. It’s more sophisticated and modern but still works great with most styles. 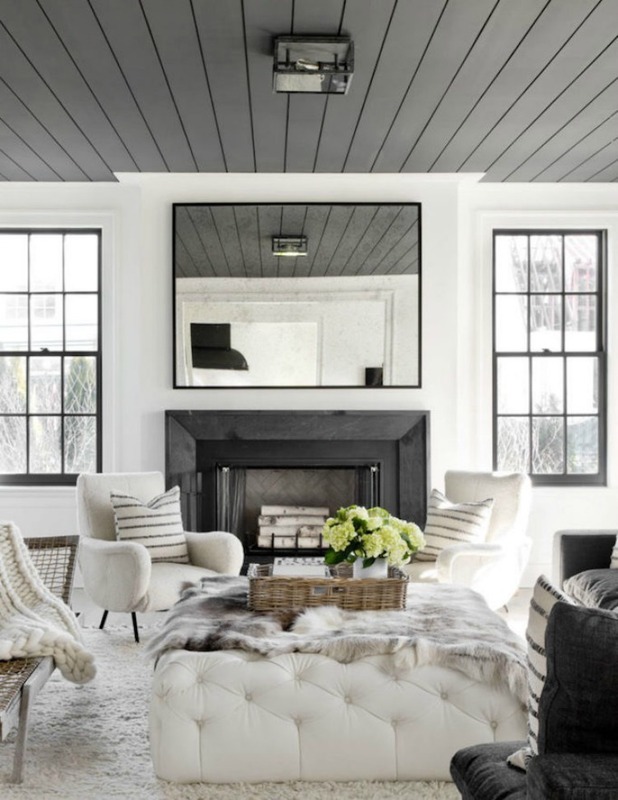 Black walls may feel a bit daunting or too moody for some, but the lines of the shiplap help break up the look and adds more visual interest. 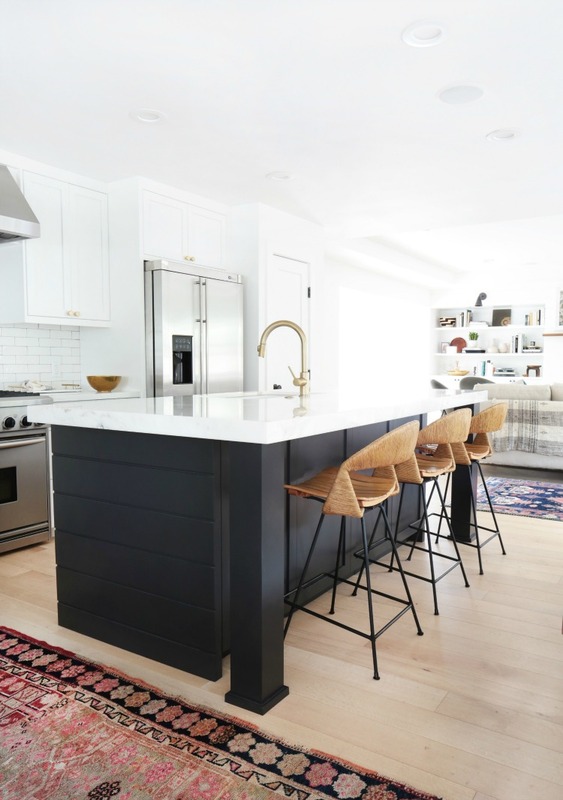 Joanna Gaines took a venture on the “wild side” by stepping away from her traditional white shiplap to this perfect black. 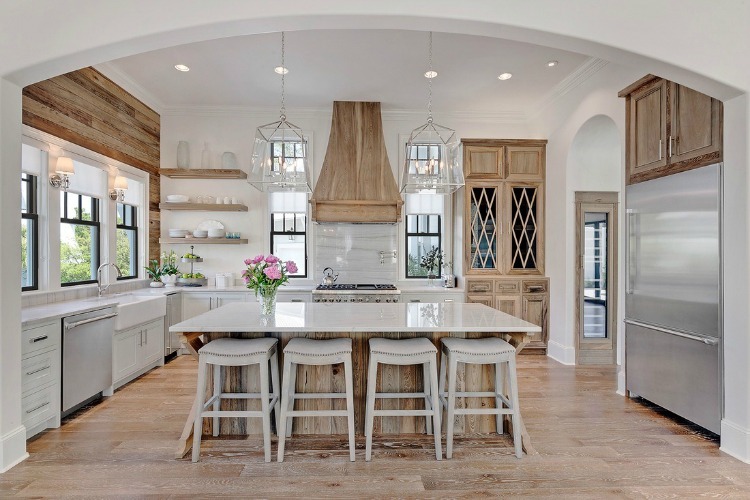 Take the shiplap beyond the walls and try it out on a kitchen island. The matte black lends to a sleeker look yet still warm and inviting. Don’t overlook your ceilings when bringing the wow factor into a room. You know my love for black and white rooms and this one is getting my project ideas spinning. Natural wood is hot on the scene lately and is a look I didn’t expect myself to love. 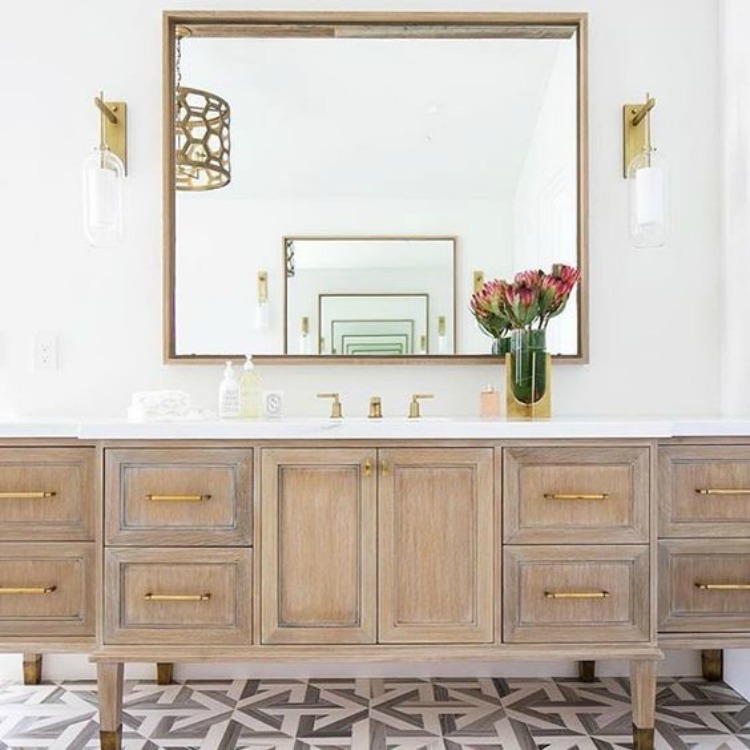 Mixing it with the proper design elements like the sleek brass sconces and cabinet hardware, and how can we not mention those floors in this bathroom! 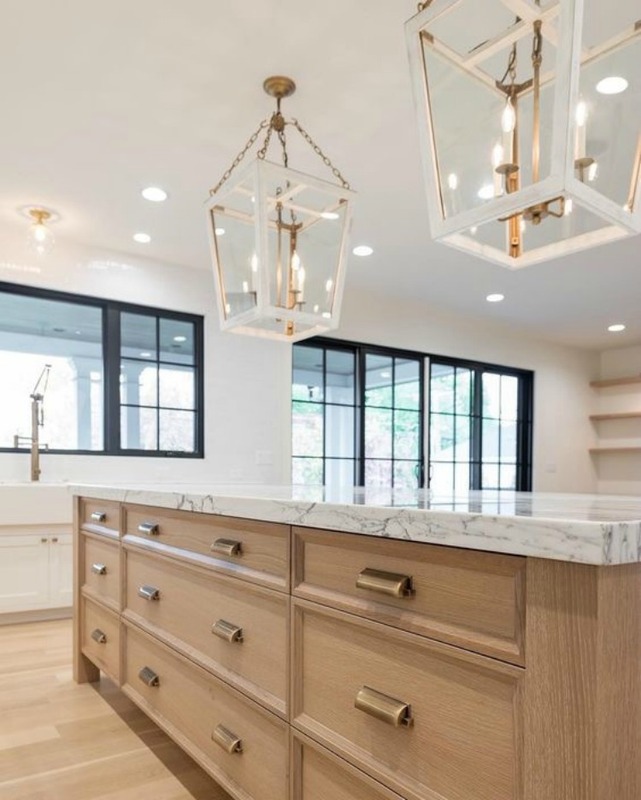 What makes this look work so well and refrained from appearing too rustic is the mix of shiny fixtures/hardware and light quartz/marble countertops. 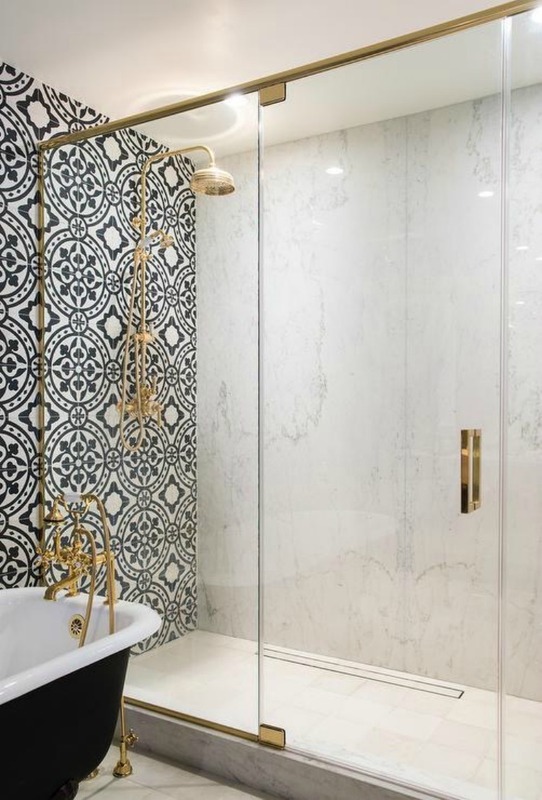 Whether it be on the floor, as a backsplash or on a wall, cement tile will add that zing to any room. There is a huge array of style selections out there. The options can be mind boggling. 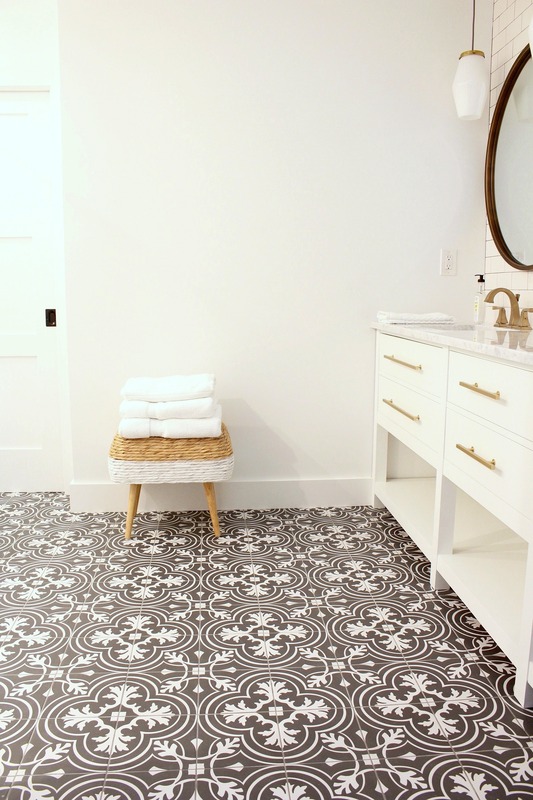 Our beach cottage master bath is the first project we’ve used pattern tile. Committing to a busy tile should take a lot of consideration. Black and white is a timeless look that I never grow tire of so I knew that by sticking with this color scheme, I’d be safe. We kept the remaining elements of the bathroom more streamlined with subway tile and simple white walls. Sometimes you just need to let those floors take all the glory! 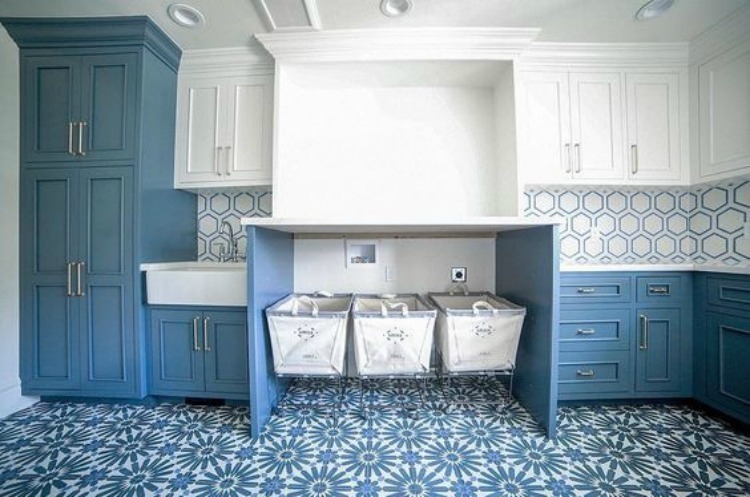 The mix of patterns works well in this showstopper of a laundry room since the color scheme remains monochromatic in a beautiful shade of blue. 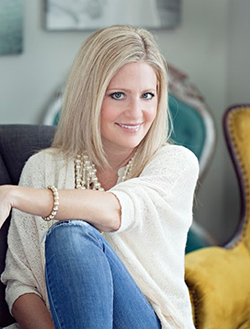 What’s your take on these design trends? Stay tuned for how we will incorporate each one into 2017. Read. My. Mind. Hoping to incorporate some of these myself!! Can’t wait to see your projects!